We consider offers to sell paintings. Our expert staff is ready, willing and very able to assist in identifying and evaluating your paintings. We have strict rules about the art we consider to buy or consign. It is very difficult to describe art of any kind over the phone. 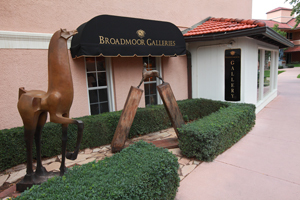 In general, we would prefer an image, either a color photograph or a digital image in jpg format, to be sent to the Broadmoor Galleries. After we have reviewed your images and your email, we can contact you. Your email should include information about any marks or signatures, dates, labels, condition of the item and size. You are welcome to call us and we will try to answer your questions over the phone, but we will ask to view images of the artwork to be sure of our evaluation. If you would like to consign or sell your artwork to us, please fill out the form and attach your photos.